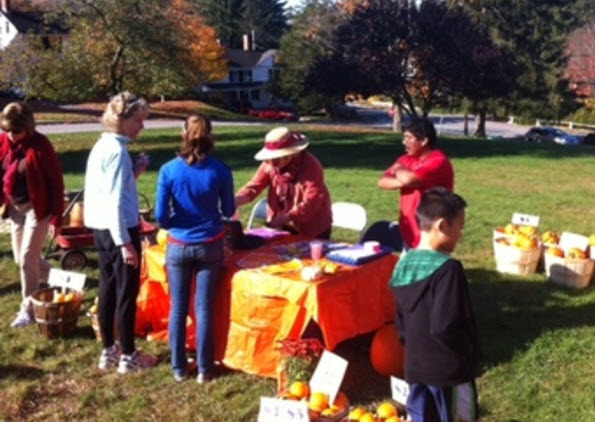 The Carlisle Garden Club will sell Pumpkins on the Common on Saturday, October 14 from 10 AM to 2 PM. 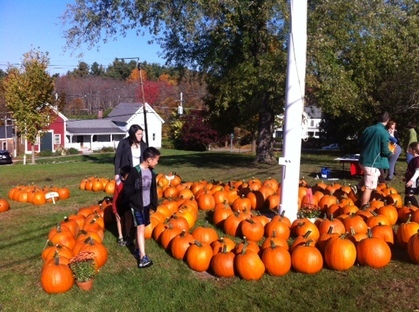 Bring the family, stop by and meet your friends & neighbors on the Common, and choose your pumpkins for carving, painting, or cooking. 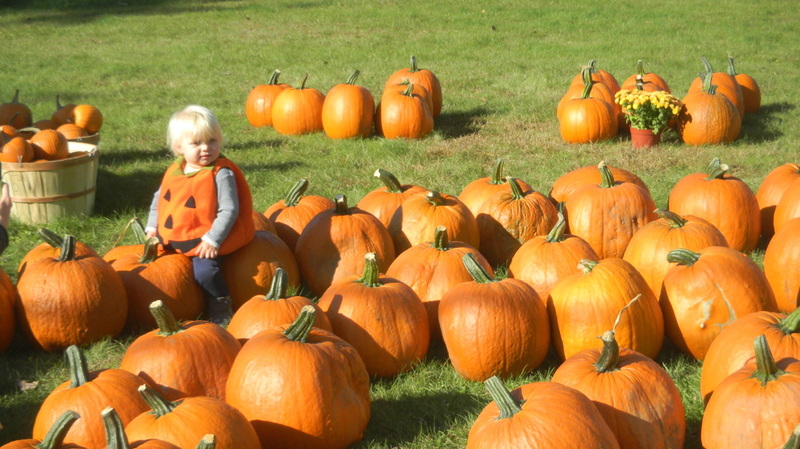 Be sure to ask for your free "grow your own pumpkins" kit. During the sale, volunteers from the First Religious Society and the Garden Club will offer a Community Café for Hurricane Relief in FRS Union Hall. Coffee, tea and baked goods will be available all day, with a delicious fall luncheon of pulled pork sandwiches and slaw, pumpkin soup, hot dog plates, cider, and other seasonal treats. All proceeds from the café will be donated to United for Puerto Rico, a fund established by the island’s first lady, Mrs. Beatriz Rossello. Allium Sale Pickup. If you have pre-ordered allium bulbs in our 2017 sale, you can pick up your paid order at the allium table in Union Hall from 10-2. Grab a copy of our planting guidelines and check out suggested interplanting schemes. We'll have a limited supply of extra bulbs for sale, so plan to come early!